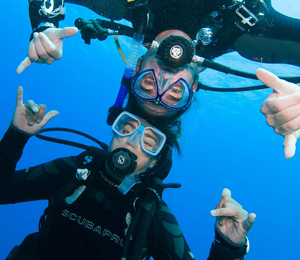 If you’ve decided to learn how to scuba dive, welcome to a whole new world! Scuba diving can take you into the beautiful underwater world where you will witness amazing coral formations, explore old wreck sites and sometimes interact with some incredible sea life. 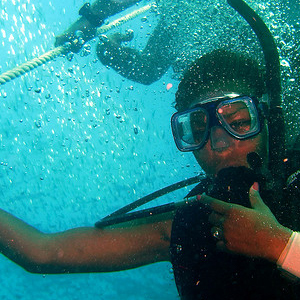 But how do you begin your underwater adventure and learn how to scuba dive? Open water dives and skills review. Let’s take those one at a time. First is expanding your knowledge base in the area of scuba diving. The first phase of the Open Water Diver scuba certification involves the acquisition of a good knowledge base, so you understand the underlying principles of scuba diving. You will understand the terminology. You will understand how water pressure affects you when you are scuba diving and everything that you need to know about scuba gear. 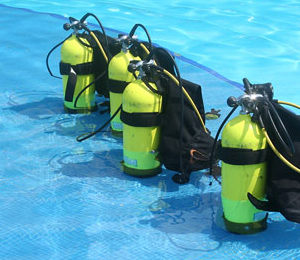 This stage of scuba dive training can be done online through the e-Learning course. You could choose to attend a scuba diving class at a local dive shop or you could study at home with online materials such as the manual, a video and a CD-ROM. No matter what option you choose, you can find a program to get you started. Now you get into the fun part, the actual diving. 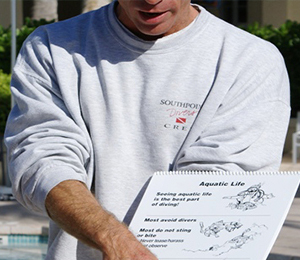 You are required to take five confined water dives as part of your certification. During these dives, you will learn to scuba dive in a local pool or similar enclosed body of water, called confined water diving. You will learn how to prepare and run safety checks on your scuba gear, and how to get your gear on. You will learn some great emergency skills, so you will be prepared for almost anything as you become a real scuba diver. Now it’s time for you to really dive in: four open water dives. Your highly experienced instructor will take you to a dive site where you will learn what it really means to dive in open water. If you complete the knowledge section on your training on your own through e-Learning or study-at-home, you can finish the confined water dives and the open water dives in as little as two days, depending upon the instructor’s schedule and availability. That’s a short time period to get yourself from start to finish with scuba diving certification in hand! Isn’t it time to open up a whole new world? Get your feet wet with a scuba diving certification. You won’t regret it.